INDIANAPOLIS, Jan. 28, 2019 – Multi-session ticket packages for the 2019 U.S. 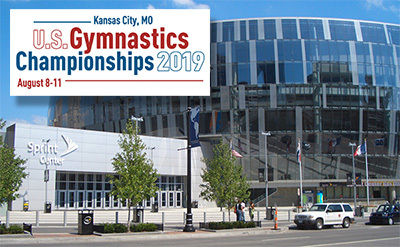 Gymnastics Championships, Aug. 8-11, at Sprint Center in Kansas City, Mo., will go on sale Feb. 11, 2019, at 10 a.m. CT. The four-day championships features the country’s best gymnasts vying for national titles and national team berths. The five multi-session packages are identified below. All ticket prices are plus applicable fees.